← Making our way through the rain & company joins us on the trail! 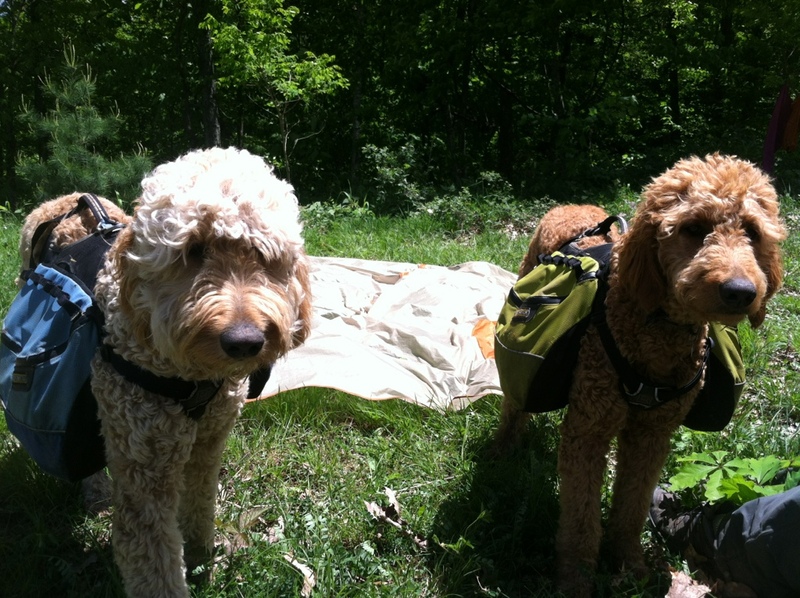 Home » Uncategorized » A quick hello from the trail! That’s terrific Alexis and Brent! Happy Memorial Day weekend to you all too! Hello Brother and Jewels! 25% done…impressive! But i must say it was about time you started hiking again…thought maybe you were just going to move into Hammonds”!?! How are the dogs holding up? What are you eating nowadays? We are doing well here. I am enjoying summer vacation and spending my days with Lawson. He has started eating cereal and will be moving on to sweet potatoes next week. We hope you enjoy your Memorial Day weekend hiking!! Love you guys! The Fish Lake Crew sends a big hug and a smooch! “Here hold my beer watch this” is hanging with Kell, dogs, and the cooks.